Once you gain control over your fledgling small business, you probably want to start growing. 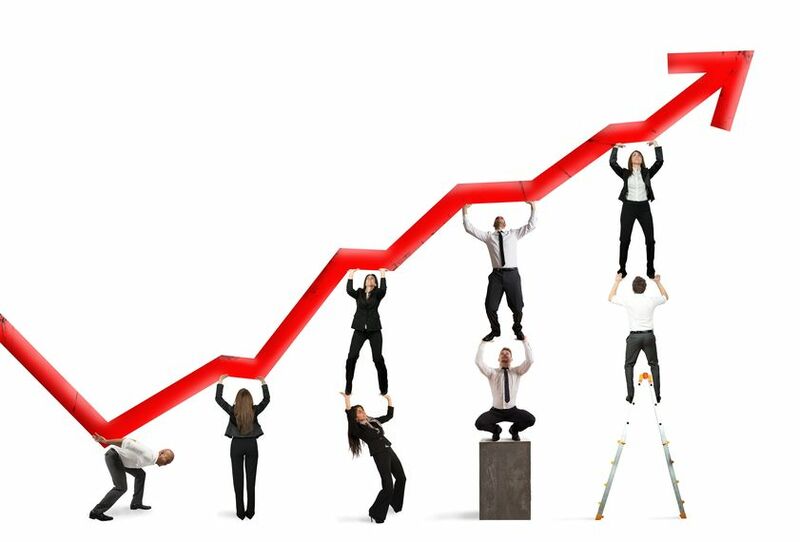 Growth could mean anything from adding more staff to increase output, to adding more products and services, to broadening your customer base. Without a well-developed plan in place, however, you can easily send your business into a whirlwind of activity and confusion, sometimes throwing your core beliefs out the window while you just try to keep up. In fact, without proper forethought, you could potentially grow your company right out of business. Naturally, a detailed look at the numbers is essential to review where you are and predict how different types of expansion might affect your bottom line. But, numbers don’t tell you everything. Here are some points that can help you keep expansion under control. Responding to common complaints is often a valuable source of expansion ideas. Let’s say that you sell battery-operated drones. Even if you offer the mainstream array of batteries, do you also sell the custom ones required by some popular brands? How about rechargers? Simple expansions like these might even bring in customers who purchased their drones from other sources while convincing them to come to you for their new ones. Service businesses typically work closely with customers, so they easily learn about new services that are in demand. Jump on any idea — as long as it fits within your company’s industry and skill set. I worked for a software consulting company that took on unfamiliar projects that required them to hire highly-paid experts to fulfill the requirements. That company quickly expanded its way out of business. On the other hand, if their existing staff had underutilized talents or could be trained in new areas, they might have expanded successfully. Communication and feedback: Obviously, expansion should not be an employee surprise. You need to communicate your intentions, and take advantage of their interest and experience by soliciting feedback. Their ideas can greatly help benefit everyone, including your customers. Training: Boost employee skill sets as needed to accommodate your expansion plans. Whether they need to gain new abilities to do their jobs or get more information to answer customer questions, providing the necessary training keeps their comfort levels high. Technology: Can any manual procedures be replaced with a low-cost technological alternative? Or, if expansion makes projects more complex, would team members all remain on the same page by using a project desktop? The right tools can help everyone do more with less. Personnel: At some point, you’ll need to expand your workforce to meet the needs set forth by your awesome growth. Since the current job market has created a hiring challenge for businesses of all sizes, make sure that you plan ahead to keep up with a faster pace. Vendors: If you expect to increase product sales exponentially, keep in close touch with vendors to plan for your changing needs. Otherwise, you may find yourself unable to meet new demand. Current customers: Your most valued existing customers can be helpful in planning new offerings that meet their needs. Also, advance knowledge of upcoming changes can help ensure that they have their checkbooks funded to prepare for exciting new purchases. Investors: Financial stakeholders don’t like surprises. They need to be plugged into your plans and even offered the opportunity to offer their opinions. If they don’t like your chosen direction, you have the chance to justify your decision. But, if you surprise them, they might bale — or at least avoid making future investments. Maybe you’re in a perfect position to expand without outside assistance. But, what if you want to attract new customers to your pottery shop by adding massive planters to the dinnerware that you currently make? Or, maybe you want to add home-cleaning services to your office-cleaning business, but you don’t have the staff yet. If you’re not equipped to do it all on your own, increase your company’s strength by developing relationships with key partners in compatible industries. Once you see that the expansion yields positive sales results, you can consider spending some of the increased profits to take on more of the expansion in-house in the future. Hopefully, your company culture is in writing. But even if it’s just in your head, your business operates on core beliefs that make coming to work worthwhile for everyone. When you cross boundaries for the sake of profits, it hurts you, your employees, and your customers. What would your employees think if you decided to start using substandard parts just to meet an increase in demand? Just as important, what would your customers think? With forethought and control, your business may increase in size significantly, and in relatively short order. But if you don’t analyze every detail, such as the costs, the competition, and market conditions, you stand to lose more than you gain from growth. Growing a business naturally involves risk, but that risk is reduced through careful, holistic planning.